Gold is highly valued and the most traded metal around the globe. In Pakistan, the annual consumption of gold is approximately 170 tonnes. 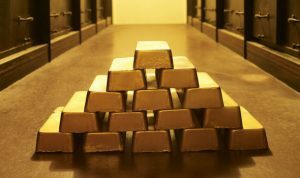 In the first quarter of the current year, the consumption of gold was 64.60 tonnes. According to the WGC documents, from 2006 to 2016, the export of gold for the country was around $400m. The high consumption rate of gold is not due to its domestic use, but due to the commercial use of gold. Currently, the commercial import for gold is banned. But still, the gold is imported for various industries. The gold reserves are held by the central bank i.e. State Bank of Pakistan. The gold rates in Pakistan fluctuate more. In the last three months, the gold prices in Pakistan have increased by 8% that is quite high. It is not easy for the lower middle-class people to purchase gold because of the higher prices. But those who can afford to purchase gold as an investment are doing good and making money. The bullion dealers in Pakistan set the gold rates on the basis of its universal rates. Also, these gold rates vary from city to city. The gold rates in Pakistan have never remained stable and most of the times, the prices have gone higher. The business sectors from which we are used to purchasing gold have very high monetary standards and as a consequence, we are forced to pay higher amounts to purchase gold. Since 2010, the gold prices have hardly come to the lower costs. After some days, we experience an increment in the gold rates in Pakistan. Sometimes the prices go lower but not enough to easily purchase. Those who purchase gold as an investment are the happy people as they usually sell their gold on higher rates. If you want to keep yourself updated related to the gold rates in Pakistan then you can either see a converted rate that is calculated after converting from the international gold rates in different currencies or focus on the rates set by Karachi Saraf Jewelers Association for 22K and 24K gold per grams and tola. There are many websites that show daily gold rates and updated regularly to show the correct gold rates for mainly 24K, 21k, 23k, and 22K gold. The purity of gold is measured in Karat like 9K, 10K, 14K, 18K, 22K, and 24K, etc. The higher the Karat is, the most expensive the gold will be. 24K is considered the pure form of gold without any alloy. Karat describes the ratio of alloy with the quantity of gold. It is measured up to 24 points on the scale. The pure form of Gold is soft and can be moulded in any form. So, some metals are used to alloy with the gold to bring it in hard form. They are copper, nickel, silver, and palladium. When these metals are mixed up with the gold, its colour is more attractive and it is stronger. In this connection, you can take an example of the “Rose Gold” that is an alloy of gold and copper. As I have told earlier, the purity of gold is measured in Karats. When you go to a jeweller to buy a piece of gold jewellery, suppose a ring, he tells you it is 16K. As you know the 24K gold is pure. So, you will divide 16 by 24 to know the gold quantity in the ring. So, by dividing 14 by 24, you get 0.66. It shows that the gold is 66% pure and remaining is the mixing of other metal. In this way if the jeweler tells you the ring is 18K, just divide 18 by 24 to know the actual proportion of gold with the other metal. The gold in Pakistan comes in 12K, 16K, and 18K. You can buy gold in various different forms. You can buy it as a jewelry or coin. Also, you can buy gold in the form of bullion and bars. Many people in Pakistan buy gold in the form of jewelry but this is not considered as an investment purchase. But whatever form of gold you are buying, it is mandatory to make sure that the gold is real and not fake. Before buying gold, keep in mind the purpose of purchasing it. Many women buy gold for personal enjoyment in the form of jewelry. But the resale value of jewelry is not good. Therefore, for an investment perspective, it is ideal to buy gold coins to sell them easily. Many banks offer some kind of ingot coins as an investment in gold. So you can easily contact those banks to purchase the gold coins. Also, the gold bullion and gold bars are best for the investors. There are many dealers that can provide you with bullion and bars. But it is essential to make sure that the dealer is trusted and selling pure gold instead of the fake one. You can ask your friends to know about the trusted dealers. Also, you can search on the internet for more correct and relevant information. Moreover, banks also sell gold bars so you can easily buy from them if you are looking for an investment in gold. If you define the gold as a fine metal, it means the quality, quantity, purity and some other factors. The fineness of gold is measured by the following key factors. Assay: Assay is a test of the metal that determines the quality. Bullion: When the gold is in bulk form, and not in the form of coins, it is stated as bullion. The gold in raw form is more precious and valuable as it can be molded in any way. Carat: Karat or Carat in North America defines the proportion of other metals alloyed with the gold. One Karat is equal to 200 milligrams. Ductility: Ductility is the ability of any metal to be deformed. Since the gold is a ductile metal, it does not fracture when it is stretched to mold into thin wires. The pure gold is highly ductile and that’s why it is more valuable. Hallmark: On every Bullion piece of gold, there is a stamp that is, in fact, the certificate of its purity. So, the Hallmark symbol on the gold makes it more precious. It enhances the price of the gold. There are some stamps on the gold and the people cannot understand the meaning of these stamps. They simply intend to buy some quantity of pure gold and the stamped gold becomes worthwhile for them. But all that glitter is not gold is a very famous and true proverb. Let’s understand the stamps and their meaning. EPNS: If a piece of gold has “EPNS” stamp and someone tries to sell it to you, beware and run away. It means “Electroplated Nickel Silver” and it shows that the piece is not gold, but silver-plated nickel. EPBM: Again, it is not gold. It means “Electroplated Britannia Metal” that is basically an alloy of silver/tin or silver/copper, silver/lead or silver/zinc. So, don’t buy a piece of gold with EPBM stamp. GE: Gold Electroplate: If someone tries to sell a piece of gold with “GE” stamp, it means the base is gold and remaining is another metal. It shows only 10K gold has been used in it as plating. HGE: It refers to “Heavy Gold Electroplate” that is again the same as Gold Electroplate. So, a piece of gold with “HGE” means only 10K gold as plating and the remaining is the mix up of another metal. GF: It is “Gold Filled” that shows the gold plate has been used and approximately, it comes with 10K gold. 375: It shows the purity of gold in the piece is only 37.5%. If you measure it in Karat, it is only 9K. According to the USA Gold Standard, the minimum purity of the metal should be 10K. So, it is again not a fine piece of gold. 417: The stamp means the purity of gold is 41.7%. It is considered good with 10K purity of gold. 585: This stamp defines the purity of gold as 58.5% that shows it is 14K gold. So, it is stronger than the 417 in fineness. 750: It means the purity of gold is 75% i.e. 18K. It shows the more purity of gold with a lesser proportion of another metal with it. 916: This stamp shows the purity of gold is 91.6% i.e. 22K gold. So, it is the best option for you to buy it at once. It is softer, Malleable and highly ductile. 999: This stamp shows the most authentic and reliable piece of gold with 99.9% purity. It is the finest quality of gold that is available around the globe. If we talk about Pakistan, then here people also purchase gold when the rates go down and sell it when the gold prices reach the sky to earn profits. But the gold rates in Pakistan fluctuate more rapidly and most of the times the prices move upwards instead of going down. But how the gold prices fluctuate and give profit and losses to the investors? You will be thinking that how the gold rates move up and down or remain stable for some time? Then there is the answer. There are many factors that influence the gold prices but we are targeting some of the common ones. The rate of the gold is dollar dominated. And the dollar and gold rates are inversely proportional to each other. When the U.S dollar goes down, the value of the other currencies goes up and thus gold prices go higher. But when U.S. dollar flies, the value of the other currencies goes down and thus gold rates go down. But the devaluation of the Pakistani currency is one of the main factors due to which gold rates go higher in Pakistan. When the value of the U.S. dollar increases against Pakistani rupees, gold rates get increased. Political uncertainty or instability is another factor due to which gold rates go higher in Pakistan. We have seen many times that when political conditions in the country become rough, the gold rate goes to take the steps. But mainly it all depends on the condition of the stock market. Economic growth is another factor behind the increment and decrement of gold rates. Strong economic growth forces the gold rates to go down and weak economic growth forces the gold rates to go up. Good GDP growth, low unemployment, and good manufacturing data keep the gold prices low. But on the other hand, bad GDP growth, high unemployment rates, and weak manufacturing data keep the prices high. The inflation and the gold rates are directly proportional. When inflation goes high, gold rates touch the skies. And when inflation goes low, gold rates kiss the grounds. You can say that supply and demand are also responsible for the gold rates fluctuation. If there is more supply but less demand, gold rates will definitely go lower. And if the demand is higher but supply is on the declining side then gold will become hard for the normal buyers to buy. Moreover, the flawlessness of the gold karats is also responsible to increase or decrease the gold rates in Pakistan.